Despite its similarities to the Echo Batling, the Hog-Nosed Bat does not spawn inside caves or caverns. Instead, it can be found outdoors, in The Haglands of Highmountain. They seem to share a spawn with the chipmunks and rabbits as well. I have never seen them as secondary pets. I just ran around and checked pets and killed chipmunks and rabbits. Took about 20 mins and hog noses started showing up. I just found three of them right by Lasan Skyhorn and Aviash in The Haglands. Good luck! I found this as a primary pet in the Haglands. Wasn't any up when I got there so I started clearing the pet battles that were up, showed in about 30-45 minutes. This is the last pet I need for the Broken Isles Safari acheive, no luck so far! I have had a toon in Haglands for 2 days killing all hog nosed bats but none have ever appeared with a paw. Can these be a secondary pet, I see many rabbits and chipmonks I could battle in the area? These definitely are not a time based pet; meaning they spawn during the day and evening. I didn't see any spawn so I ran around killing the non-pet versions and within 5 minutes I had a spawn appear. If you're struggling with finding one, give that method a shot! Found mine in Highmoutian at 49.33,35.97 (top of a mountian). It was the first pet in battle and a RARE!!! Got mine at 7AM server time, did not see any in the day time so it could be a night time spawn. There did not seems to be many up at once and the respawn appear to be quite slow or limited. 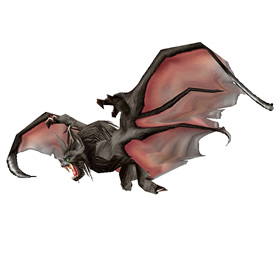 Confirmed - It's not only a secondary pet found several flying around the top of the mount area in the Harpy section. 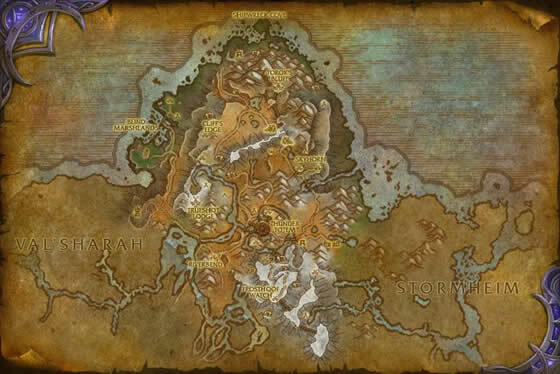 Currently the Wowhead-supplied location map is wrong about this only being a secondary pet. Lots of them flying around the Haglands in Highmountain.